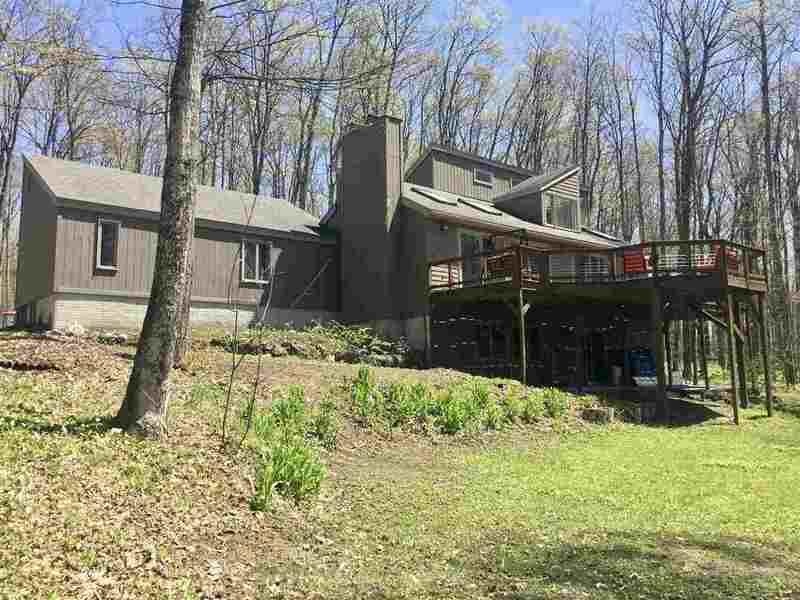 Beautiful and unique 4 bedroom, 3.5 bath home with tons of character and charm on 5 plus wooded acres across from Walloon Lake. Spacious open floor plan perfect for entertaining with 3648 square feet of living space Two bedrooms on main floor and two bedrooms on second floor with private baths. Cathedral ceilings, walnut floors, tiled baths, large mudroom, and two wood burning fireplaces. Kitchen has solid walnut countertops, tiled backsplash and a farmhouse sink. Large family room with wood stove, sauna, and full bath in walkout basement. Two car insulated attached garage and underground utilities. Huge deck overlooking a very private setting with nature trails through the woods. Adjacent to 20 acre Keller Nature Preserve. Natural gas and cable high speed internet..